The Federal Reserve and its central bank peers around the world unleashed unprecedented amounts of monetary stimulus in its efforts to pull the economy out of the financial crisis. While growth remains anemic, we are no longer in crisis-mode. So you could argue that monetary policy worked. More recently, the European and Japanese economies have slowed substantially, and the European Central Bank and the Bank of Japan have responded by cranking up stimulus again. 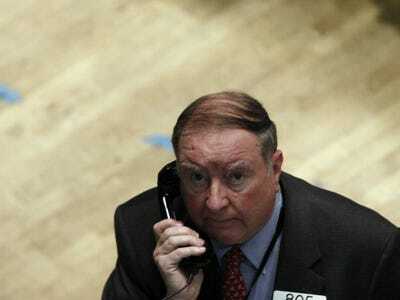 Veteran trader Art Cashin of UBS and his peers worry that not only is this unsustainable, it’s actually destabilizing. Best Not To Look Behind That Curtain — As mentioned in earlier Comments, Paul Singer of Elliot Associates put out a recent letter to investors, which is being widely cited and discussed around Wall Street. There is a current set of delusions that is powerful and dangerous: that monetary debasement can be infinitely pursued without consequences; that the financial system is now solid and sound; that the low volatility and high prices of stocks, high-end real estate and bonds are real; that bonds are a safe haven; and that large financial institutions which get into trouble in the future can be unwound in a much safer way than they could be in 2008. We have discussed each of these elements in the pages of this report and previous ones in an attempt to reveal the fallacy and unsustainability of such beliefs. But, as stated above, they will only enter the history books as mass delusions if they are unmasked in the future as unjustifiable and erroneous beliefs at the time they were held. We think that test will be met, perhaps soon. That’s about as eloquent a putdown of central bank policy as I’ve ever seen. Mr. Singer seems quite sure that this will end badly — probably very badly. To be clear, this is not the consensus.